Kitamura Computers UK - Repairers of Computers, Games Consoles, Consumer Electronics & Home Appliances - Welcome! Welcome to Kitamura Computers v2.0! Welcome to the website for Kitamura Computers, a friendly computer, consumer electronics & home appliance repair company based in Whitefield, Manchester. 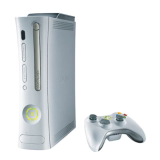 We are experienced technicians, highly qualified in the diagnostics & repair of computers, consumer electronics & home appliances such as TV's, camcorders, fridge freezers, washing machines, DVD recorders and games consoles like the Xbox 360, Sony PS3 and PSP. We set ourselves apart from 99.9% of repair companies because we do the work of several separate shops! We're diverse in the things we service, experienced, caring, friendly and offer great value for money! Our web site is under constant development, pages are added and/or edited while the site is live to prevent downtime therefore please don't take any prices as final. Contact us to verify prices. On rare occasions, some things may not work as expected, this is normal while the site is being edited live. Tired of PC and electronics problems always chasing you like a giant ostrich? Then give Kitamura Computers a call today! We pride ourselves with a very high level of professionalism, friendliness, courtesy and expertise in delivering accurate and reliable repair solutions to our customers, both public and corporate. Below is just a small selection of our services to you. For a full list of our services, refer to the sidebar on the left.